THANK YOU FOR ATTENDING THE 2018 PROSPERITY SUMMIT! Please check back soon to receive information on when Registration for the 2020 Prosperity Summit will launch. The Prosperity Summit is you + 1,300 like-minded attendees working to build an opportunity economy. Register early and lock in big savings! Fees: Includes access to all Summit programming, plus breakfast (3 days), lunch (3 days) and reception (1 night). Associated fees are determined based on the date that you register and will automatically be populated at the end of the registration process. If you have a registration (or discount) code, you will need to enter this code into the "Registration Code" box on the FIRST PAGE of the registration process. The payment page will not have a registration or discount code option. Sponsors: If your organization is sponsoring the Summit, your sponsorship manager will give you a organization specific registration code to use at the beginning of the registration process. Speakers: If you are a confirmed speaker at the Summit, your session manager will give you a unique registration code to use at the beginning of the registration process after you have completed your acceptance form. If for any reason the amount due is different than you believe it should be, please contact us via the information provided in the “Registration Inquires” section below. The preferred method of payment is online with a credit or debit card. Payment MUST be received with your registration; NO Registration will be processed without payment. All major credit cards are accepted (VISA, MasterCard, Discover and American Express). Registrations received on or before 11:59 pm PDT on June 8, 2018 will be charged the early bird registration fee. Registrations received after 11:59 pm PDT on June 8, 2018 but before 11:59 pm PDT on August 8, 2018 will be charged the advance registration fee. 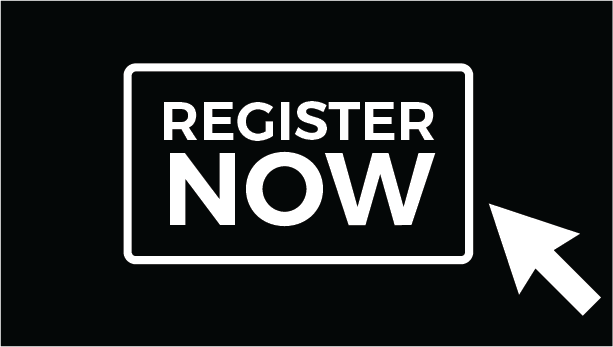 Those wishing to register after 11:59 pm PDT on August 8, 2018 will be charged the full or onsite registration rate. Payments will be accepted by check or money order, payable to “Prosperity Now” in U.S. dollars and drawn from a U.S. bank. Check and registration form (see below for form and mailing address) must be mailed in together, post marked by August 22, 2018 in order to process your registration order. Paper forms will only be accepted via check payment. There will be a $75 fee for all returned checks. Checks will not be accepted onsite. Checks will not be accepted after August 22, 2018. Prosperity Now does not accept purchase orders. Upon receipt of your registration and payment, a confirmation email will be sent to each registrant within one (1) day. If you do not receive the confirmation email, please make sure you check your clutter and junk mail inboxes. Payment issues will delay the processing of your registration. If paying by check, registration will not be processed until the check and registration form is received and the check is cleared, which could take up to 14 business days. If you are registering multiple individuals and would like to make one payment for your group**, you are able to do so by completing the registration process for one individual and clicking "register another" on the payment page. **If one of the individuals in the group that you are registering has a registration or discount code, you will need to enter this code in on the FIRST PAGE of registration. Registration or discount codes will only be applied to the one individual in the group. All codes will be checked for proper use. Your registration confirmation will include payment receipt. We ask that you bring this confirmation with you onsite. Should you forget to bring this with you, your badge can still be obtained at the Express Registration Station. Please note: no badges will be mailed. Your badge represents value. As such, all badges can be replaced for a $10 badge reprint fee. Reasonable policies and terms of registration have been established for Prosperity Summit 2018. We encourage you to read these carefully as all registrants of the Prosperity Summit will be required to agree to these Registration Terms and Conditions as a condition of registration. All registration cancellations and refund processing must be done online. You will receive a cancellation link within your confirmation email. You will need your confirmation number to retrieve your current registration. You can also click on the "Register Now" button and enter your information as if you were registering again. This will prompt you to modify or cancel your registration since you are already registered. There is a $100 non-refundable administration fee for processing any refunds. Your registration fee, less the $100 administrative fee, will be refunded in the same form as the payment was made within 45-60 business days of your cancellation date. No refunds will be granted for requests after August 22, 2018. Any exceptions shall be at the sole discretion of Prosperity Now. Prosperity Now regrets that refunds will not be given for no-shows or inclement weather. Registrations are transferable within your organization. Substitutions must be sent in writing by August 22, 2018. After August 22, 2018, substitutions will only be accepted onsite and will incur a $100 administrative fee. The individual submitting the substitution request is responsible for all financial obligations (any balance due) associated with that substitution. Submit all requests to summit@prosperitynow.org. Answers to our most common questions can be found here. Have a question that isn't answered in the information provided? Please contact Registration Management via email at summit@prosperitynow.org.